Since my last post in June 2016, the band has done some extensive touring for our new album "Hit Reset" out of Hardly Art (Sub Pop). I've also dove into a MFA program in Sonic Arts this past fall, occupying every moment not touring with studying audio engineering, sound design, mixing, mastering, and composition for film and video. 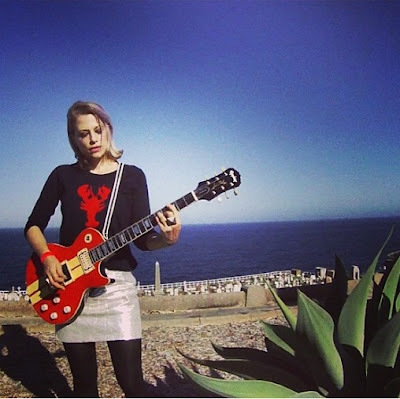 On top of this I still love meeting with my guitar, bass, and drum students every week and consistently write for a a few different sources: She Shreds Magazine, Tom Tom Magazine, and a near weekly column for Adorama's audio department. 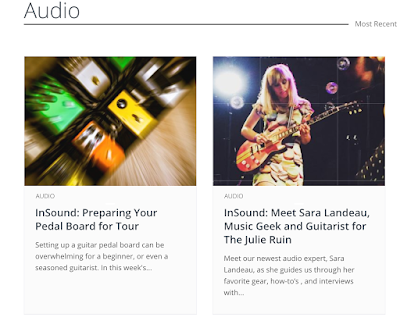 Check out my new series over at Adorama where I'll be yapping about pedals, audio equipment, tour prep, mishaps, and general music gear related phenomena. Yay! ...and new video from The Julie Ruin off the upcoming album "Hit Reset" due out July 8, 2016 on CD, LP, cassette, and digital formats from HARDLY ART RECORDS. This video stars our friend Katie Crutchfield of Waxahatchee. 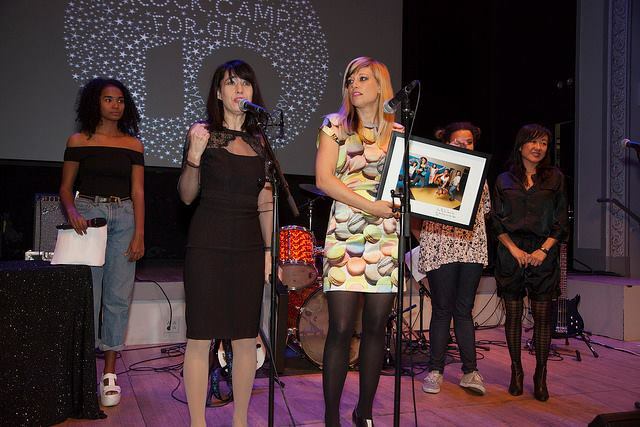 Kathleen Hanna and I received the artist/activist buddy award honored by Willie Mae Rock Camp for 10 years of continuous service. Other honorees included Chiaso de Blasio, Santigold, Carla Miller, and DJ Rekha. I still can't believe it. I am so fortunate. I'm a guitarist, teacher, musician, & drummer. 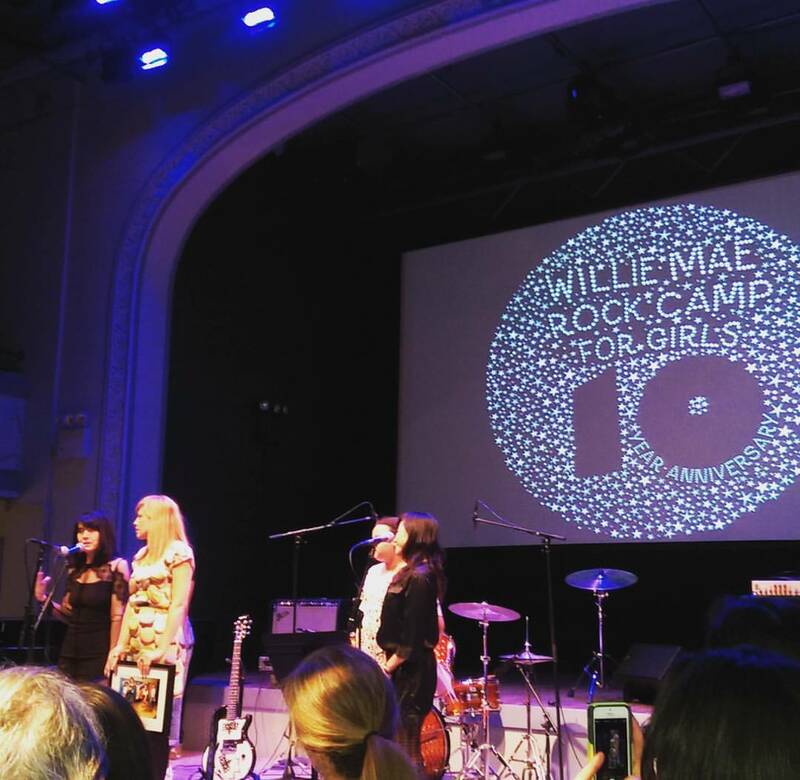 I play guitar in THE JULIE RUIN. I'm an art history major and actively support the arts. I worked at CBGB's in NYC for 10 long years. This blog is about guitar, girls in rock, drums, art history, illustration, women in history, students, and pedal boards.